Running for Premature Babies(RFPB) began in 2006 set up in memory of Henry, Jasper and Evan, who lived and died at The Royal in 2006. RFPB's aim back then was to raise $20,000 for a new humidicrib. 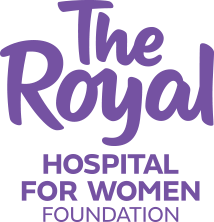 Since then, ten years later, RFPB has raised over $2 million for the The Royal Hospital for Women! These funds have provided 28 pieces of lifesaving equipment as well as funded important research projects at the Royal Hospital for Women into the care of premature babies. This year we are raising the minimum fundraising expectation for each runner from $100 to $200. We hope you agree that $200 is a fair and achievable fundraising goal. By joining the team you'll get a comprehensive training program designed by a professional personal trainer, full team kit and a series of team and social events. You can register with our team now! Please click here and select the Running For Premature Babies team.